The topic of this article may not meet Wikipedia's notability guideline for music . Please help to establish notability by citing reliable secondary sources that are independent of the topic and provide significant coverage of it beyond its mere trivial mention. If notability cannot be established, the article is likely to be merged, redirected, or deleted. Buried Alive is the debut single by British heavy metal act Blitzkrieg, released in 1981. The b-side track, Blitzkrieg, is notable as a favorite of the thrash metal band Metallica, who regularly played the song live during their early years; it later appeared on the b-side of their 1984 single, Creeping Death . 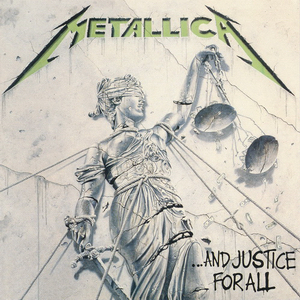 It was added as a bonus track to the 1988 re-release of Metallica's debut album, Kill 'Em All , and in 1998 it appeared on the compilation album, Garage Inc. .
"Creeping Death" is a song by the American heavy metal band Metallica, released as the lead and only commercial single from their second studio album Ride the Lightning (1984). Written from the perspective of the Angel of Death, it describes the tenth plague of Egypt. 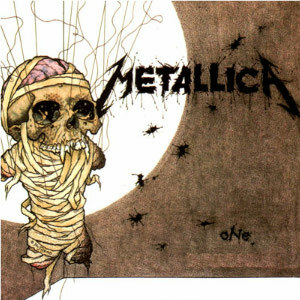 One of Metallica's most frequently performed songs, it has been played live 1,458 times, and it has occasionally been used on various tours as the opening song of the band's set. 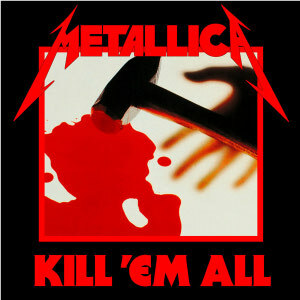 It stands as a classic example of the band's thrash style, albeit slower than the material on their first album, Kill 'Em All. The song's middle section, with its ominous chants of "Die!" set to a phrygian mode chord progression, is a fan participation staple during Metallica shows. "For Whom the Bell Tolls" is a song by American thrash metal band Metallica. 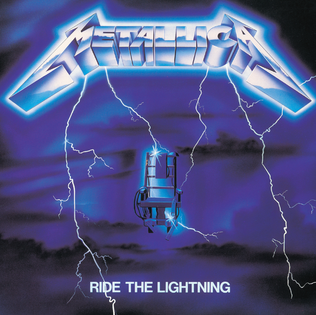 It was first released on the group's second album, Ride the Lightning (1984). 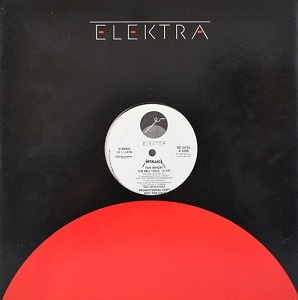 In 1985, Elektra Records released it as a promotional single, with both an edited and full-length versions. 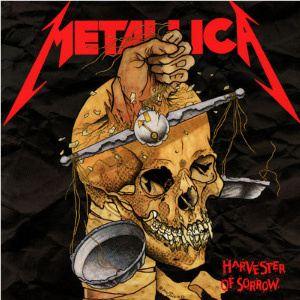 The song is one of their most popular; by March 2018, it ranked number five on Metallica's live performance count. Several live albums and video albums include the song. We're a Happy Family: A Tribute to Ramones is a 2003 tribute album to the Ramones by various artists. It started when Johnny Ramone was confronted with the idea of a tribute album and was asked if he wanted to participate, to which he agreed, as long as he would have full control over the project. He was able to get Rob Zombie as a co-producer, and call upon different bands to participate. Rob Zombie also did the cover artwork, and Stephen King, a Ramones fan, wrote the liner notes. Blitzkrieg are a heavy metal band initially from Leicester formed in 1980. The current line-up is Brian Ross (vocals), Ken Johnson (guitar), Alan Ross (guitar), Huw Holding (bass) and Matt Graham (drums). Brian Ross is the only remaining member from the band's founding. "Am I Evil?" is a song by British heavy metal band Diamond Head released on their 1980 debut album Lightning to the Nations. The song was written by vocalist Sean Harris and guitarist Brian Tatler and released on Happy Face Records, a label owned by the producer Muff Murfin of The Old Smithy studio of Worcester. The song was immediately popular among the heavy metal circles in the United Kingdom around the time of its release, but only rose to international prominence after Metallica covered it as a B-side on their "Creeping Death" single in 1984; the cover was re-released on their 1998 covers album Garage Inc.. The song was influenced by the Black Sabbath song "Symptom of the Universe." Blitzkrieg is the debut studio album by the British heavy metal band Blitzkrieg, released in 1985. "So What?" is a song written by the British punk band the Anti-Nowhere League. The song first appeared as the B-side of the band's debut 7" single "Streets of London", in 1981. It was added as a bonus track to We Are...The League's re-release in 2001. "Hold On to 18" is a song by American glam metal band Black 'n Blue from their eponymous debut album, Black 'n Blue. After being released as a promo in Japan, The song was released as the band's second single. The song was written by Jaime St. James and Tommy Thayer, and was the band's only single to chart, reaching number 50 on the Billboard Top Rock Tracks chart.